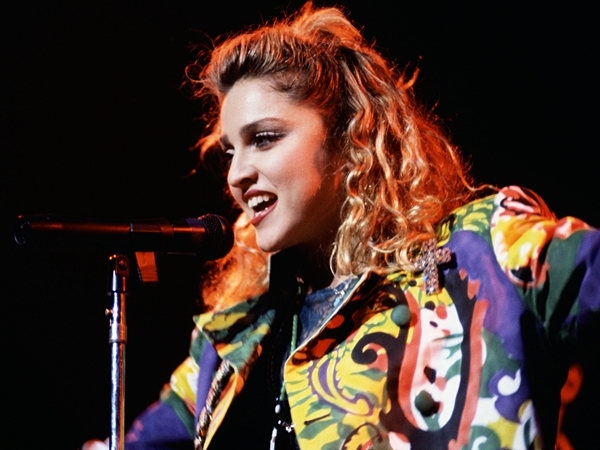 On January 18 1986, Madonna Live: The Virgin Tour hit #1 on Billboard’s Top Music Videos chart in the US. It went on to become the country’s top-selling music video of 1986. Singing her Rebel Heart out, in frenetic Dance/Rocker Over and Over, Madonna makes a simple plea and declaration of purpose to be the best artist and musician Rock has ever known in its history, lifetime and existence-Our Lady is determination and brilliance with the premise and promise! Madonna will go far in life and love! Four decades and counting, Madonna Louise Ciccone has done exactly that! I saw The Virgin Tour when it came to L.A. in April of 1985. It changed me from a casual fan to a lifelong worshipper at the altar of all things “Queen of Pop.” It was unlike anything I’d ever seen in a pop/rock concert before. At the end of the show, my friends and I had this sense that we had just witnessed pop music history in the making. I distinctly remember telling my friends that this pop tart we’d just seen was no “flash in the pan” — she was going to be HUGE!!! Of course, we couldn’t have known then how larger-than-life Madonna would ultimately become. Nobody could. There has never been a bigger superstar before or since — and there never will be again.